Actors have particular needs in their headshots. There has to be a balance between looking great but showing your true looks so casting agents are intrigued, but not fooled. Before creating your actor’s headshots, we take the time to find out about your brand and what type of image you are trying to convey. Here are some things to consider when getting your Actor Headshots. Casting Director Amy Jo Berman absolutely insists that you have a professional photographer create your headshot and one who knows how to create actor headshots. Look at their work and make sure it is what you want. Next, think about your brand. What are you trying to convey? For what kind of role do you want to be considered? Have the picture reflect that. Make sure to get at least two good headshots, one smiley, one serious. Don’t over play it in the shot. Just have a mood that allows the casting director to imagine you in the types of roles you want to play. Learn more in her excellent video. For wardrobe, Celebrity photographer Marc Cartwright advises considering your character type when picking your clothing. Don’t wear a slinky dress if you want to play the soccer mom. Also, don’t wear a costume. This limits roles for which you might be considered. And most of all, bring multiple options so the photographer can help you pick the clothes that make you look best. Actor James Perkins loves to play the likable grandfather in his roles. Update frequently. According to Matt Newton, a New York City Acting coach, update your photos every two or three years for adults. Kids, of course, need to update more frequently. Mr. Newton also says to talk to the photographer in advance to make sure you will be comfortable with him or her. Take time to get to know them. Ask lots of questions. Do you want indoor or outdoor shots? Find a photographer who can do both if you need them. See his video. Find a photographer that understands lighting and tailors it to fit your face to literally show you in the best light. I make sure that I move the subject around a lot during the shoot – making sure to see both sides of the face and to determine which is the best side. I will move the lights to make sure the face is perfectly lit. I prefer a large light source for soft shadows. Make sure the photo is cropped properly. A bad crop can make your photo look stock and boring. 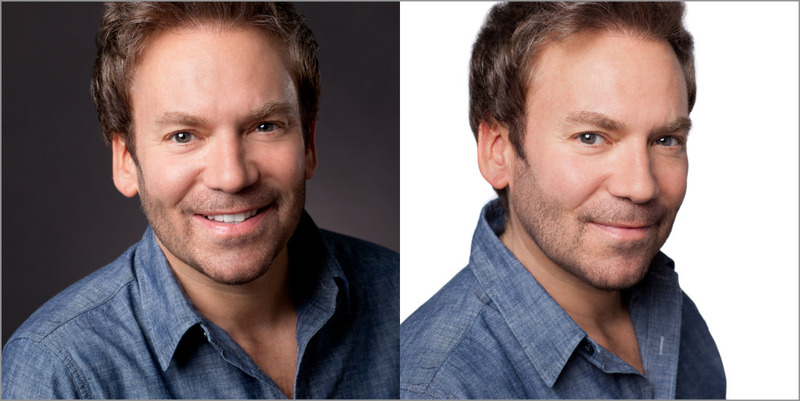 Former model and headshot photographer Peter Hurley, like me, uses a horizontal crop as his default. He places the eyes in the upper half of the photo and allows more information about the neck and shoulders. Also, a horizontal crop allows the final photo to move the eye around and have a rule-of-thirds construction for a more pleasing look. Get more cropping info in this blog post. 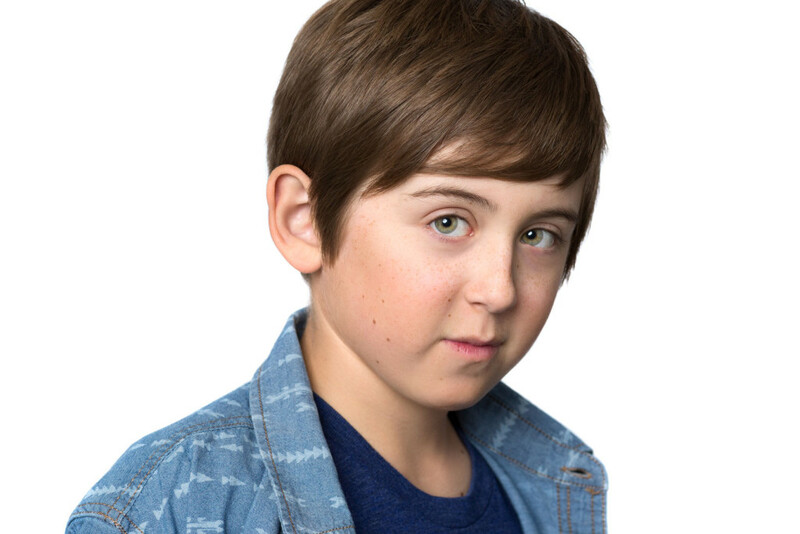 Child Actor Aviv Droby shows why he can play the smart kid. Makeup is essential to a professional looking headshot. Keep it minimal. A professional makeup artist knows how to make your makeup look natural and your skin beautiful. This is important for men as well. When the final retouching on your photo is done, less is required if your makeup was done correctly. Paradoxically, you will end up with a more natural looking headshot if you wear makeup. Makeup is included in all of our sessions. Here are more makeup tips from our Makeup Artists. If you are an actor and want terrific headshots, we would love to talk with you. You can set up a time for a phone conference by emailing or calling. And once you are ready, it is simple to book your actor headshot session on our website’s book-now page. We have locations in Los Angeles and San Francisco. Visit our Actor Headshot Portfolio Page for more examples of our work. 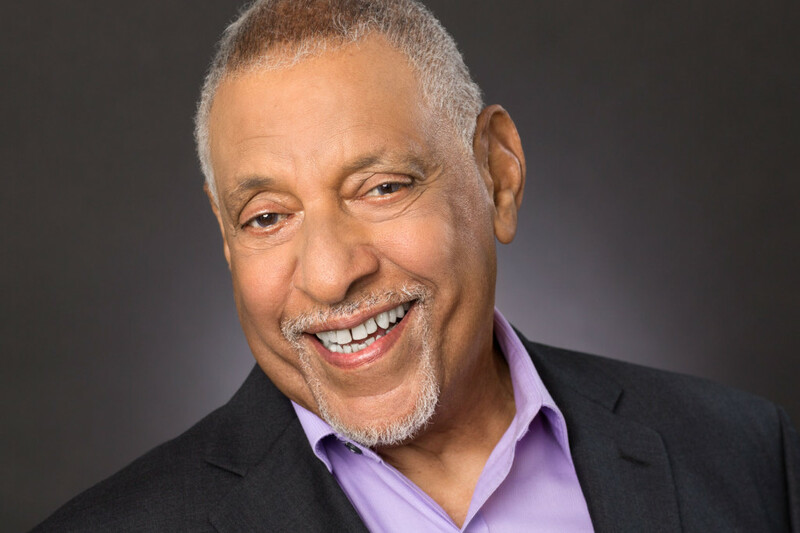 If you want to print headshots check out our blog about how to do that. Actor Pierce Peter Brandt on both a black and a white background. One shot is smiley and one more serious.